When I left home I only knew how to make one thing without a recipe, and that one thing was béchamel sauce. I'd been making it since I was about fourteen because my Mum taught me well and to date, I've never made a bad one. And it meant that with every attempt I made at lasagne, cannelloni or macaroni and cheese, I knew I could do one component well, and the rest would slowly get there. The problem was that going vegan meant my béchamel sauce pro level got knocked down a few notches. And my lasagne stopped making any sense, and my macaroni cheese resulted in tears. Because while I'd learnt about when and how much cheese to add to a béchamel sauce, dairy-free cheese does its own thing. And soy milk is gross in white sauce, tofu isn't quite good enough on its own as a ricotta replacement in cannelloni and if you don't make your béchamel sauce thick enough for the top of your lasagne, it's gonna taste like cardboard. The thing about a lot of vegan cooking is that it's not difficult, it's just about forgetting some of the old rules, and realising there's a load of other tricks you can trade on. So I thought I'd collect together a few recipes for all the vegans that survived Veganuary (HAI!!! 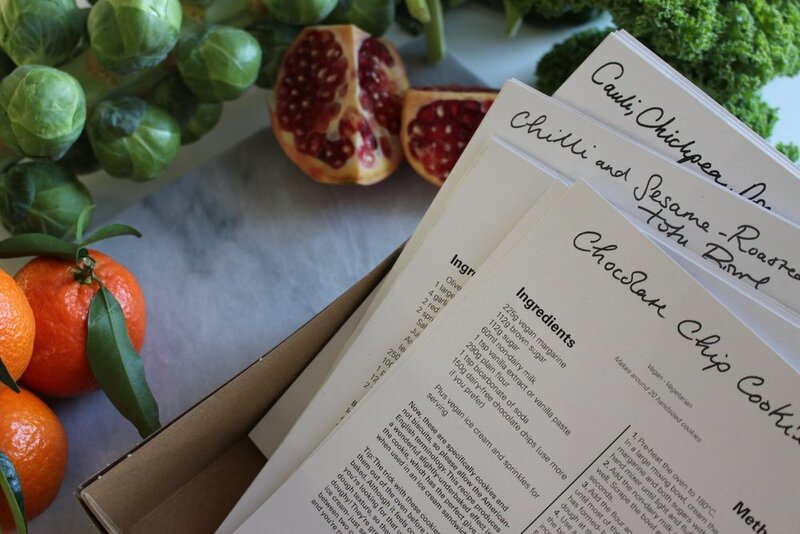 ), or for anyone that fancies learning a few more recipes off by heart. Whether you're just a few weeks into this JOYOUS ride or years down the egg-replacer path. They will hopefully be especially good for any new vegans that don't feel that confident in the kitchen yet, or maybe just don't have that much time. I've also chosen ones that should help your fresh produce go a bit further by adding in store cupboard items. I hope they can be as useful as the sauce my Mum first taught me, kind of like an online version of a few essential recipe cards. They're not the most glamorous or Instagram-ready, but let's be real, neither are the majority of any of our dinners, right? Tip: Use almond milk for a flavourless milk and always leave the white sauce until last so it doesn't over-thicken. Have everything else ready before you start making this. Vegan margarine is best, but you can use sunflower oil if you have to- it's all getting melted anyway, it just somehow never turns out as nice. Watch out for: Soy milk will make this too sweet, and other milks might add too much flavour- roux sauces are best kept bland, with flavours like nutmeg and cheese later added in. Great with: Lasagne, cannelloni, macaroni cheese, creamy mushroom pasta. There's not much more to say about this lentil soup that I didn't write here, but if you've never cooked with lentils before, this is a good one to start with. This soup is so filling just on its own, I defy anyone to miss dairy in this. Tip: Leave it overnight if you can for an even better flavour, and if you're making bigger batches remember to double up on stock too. Watch out for: Over-complicating this with extras- it's kinda great just pure and simple. Great with: A toasted sandwich, in a flask for a cold picnic, or a cheaper alternative to swinging by the chip shop on the way back from a Thursday night gig. Refried beans are kinda what our house runs on. We have these at least once a week- for dinner or breakfast at the weekends- and they're cheap, filling and tasty. There's not much more to say. Watch out for: Don't go too experimental with the flavours- these dudes will take on anything you chuck at them but keep it Mexican-based for the best results. You also shouldn't need to mash or blend these, just give them about half an hour to cook and they will eventually break down. You probably know the nights you need two sauce pasta on without ever having it. It's the nights where there's only £2 to get dinner with but if you look at one more GODDAMN TIN OF SOUP… and so Amélie's two sauce pasta comes into play. Tip: It's a simple vegetable sauce with a rich pesto, which might sound like more than you can afford but if you skimp on herbs, go big on spinach and forget about pine nuts all together, it's still a budget meal. Watch out for: Don't rush the vegetable sauce- the carrots especially are so much nicer when they've softened right down. Great with: Use the pesto to make garlic bread, a dressing for salad, or to drizzle over the top of a lasagne for extra richness. The tomato sauce can be made spicier with fresh chillies, richer with more olive oil or into a base for loads of other Italian recipes. Stuffing is the total un-sung hero of the roast. In a traditional roast they're actually where all the flavour is coming from- even when stuffed into chicken to coax out the taste of the meat- it's the stuffing that does all the work. I love making a batch of stuffing before I get properly started on a Sunday lunch- getting 6 Music on, the first cup of tea or beer and getting one dish down before the real work starts. Stuffing keeps really well for days, you can mash it into all sorts of other sandwiches and ICYMI, it's a great gravy vehicle. Tip: You can also use shop-bought stuffing- lots of types are vegan- if breadcrumbs sound too fussy for you. Just follow the instructions and add in the chopped fruit, nuts and herbs. You can also make this even 24 hours ahead and leave the rest of your roast for stressing out about on the day itself. Watch out for: Keep the oven low so the herbs don't burn too much, but there's not that much else to worry about! Great with: A Sunday Roast, Christmas Dinner, and packed into a sandwich with salad and cranberry sauce. You've already got the protein from the nuts so it's the perfect handy leftover! If you've just gone vegan you might have already tried tofu scramble as a replacement to scrambled eggs. I have to say I really didn't like it when I first made it- I think I was still searching for something that would replace that richness you get in eggs. Eggs are tricky to replace if you're looking for the same flavour and texture on their own, and you'll save yourself a lot of heartache if you just don't. It's just easier to accept you have chosen (for whatever reason) not to eat eggs for a while and kind of deal with it. I gave it a year, and when I tried tofu scramble again it was delicious. It needs a lot of flavour, it needs some spice, some turmeric to help make it a brighter yellow, and plenty of greens to bring it to life. And yes, it's a different beast to the foamy scrambled eggs you ate as a child. But hey, the sooner you get on with it the better. Because if, like me, you plan to raise your children with a thousand great memories of tofu scramble every Sunday morning, you'll need a sturdy recipe up you sleeve. Tip: Spring onions, plenty of seasoning, hot sauce, turmeric and paprika are all great additions. Watch out for: Try not to ‘over scramble' it or fry for too long- you'll get the hang of it after a few attempts so also don't be put off if the first attempt doesn't go quite to plan. I found vegan baking really hard to re-learn after spending quite a few years picking up non-vegan tips and tricks from my Mum- I've featured a few great vegan recipes here for favourites like brownies and pecan pie. But if you're just starting out, this chocolate mousse is super easy and once you get this down, you can start using it as a base in puddings with fruit salads or a syrup or funny caramel twills or whatever you fancy- it's a good one to know you can do. Tips: It's really rich, so if you're making this to the full portions, you won't need much else. Just a fancy glass to serve it in and some fruit to break up the rich chocolate flavour. Watch out for: Make sure you leave it for long enough to set and don't burn the chocolate when you're melting it down! Great with: As a filing for a cheesecake, to use in a vegan trifle (I will manage this in 2016, I'm determined) and maybe as some kind of chocolate filling? Hey, I'm not ashamed to admit I have a photo album on my phone titled ‘hummus goals' and neither should you be. Hummus is life. It's cheap as anything to make, it lasts well for a few days, and a spoonful or two added to lunch or dinner means you're also topping up your plate with a complete protein as you're mixing chickpeas and sesame seeds together (from the tahini). Tip: Keep the flavours simple at first until you find your favourites. And if you've got some herbs or spices in the kitchen, start with those! There's no need to buy in pricey ingredients if you've got paprika, cumin, garlic or some parsley at home- use them up first. You also don't need a blender for this necessarily- my best friend Charlotte made a delicious hummus last year when we stayed with her sister in Portugal, from the juice of the tinned chickpeas instead of water and a potato masher. Watch out for: I mean, there are literally thousands of hummus recipes online, but start with an oil you like the flavour of, and maybe less tahini- sometimes it takes a while to get used to. And lots of lemon juice. Great with: Roasted vegetables and couscous for lunch, in sandwiches instead of butter, with quick homemade pittas as a snack, as beetroot hummus for a super-bright starter or picnic. I think my pal Jenny originally gave me this recipe for pancakes, which I always have with sweetcorn and ketchup because I know what's right in the world. Tip: As with all pancakes, leave them in the fridge for 20 minutes and let the gluten do its work before you start to fry. Watch out for: These pancakes are a little oilier than a non-vegan recipe so don't get too liberal with the oil in the pan or they'll get deep-fried instead! Also don't try to make these chocolate-y, the raising agent flavour in them is too strong so it'll taste too bitter. Great with: Bananas and strawberries, sweetcorn and ketchup, golden syrup and fruit salad, cinnamon and yoghurt. People always seem so shocked that you can make homemade pasta vegan, before you point out that almost all dried pasta is vegan… I mean it came from somewhere. In any case, making pasta from scratch is fun, it tastes AMAZING, and if you're having friends around for dinner, it's a really nice way to spend a few hours fussing over something that isn't a joint of meat. You also don't need a pasta machine if you stick to a few simple shapes and are patient with rolling it down. Tips and watch out fors: there's loads of advice in my original post so I won't give you any more to have to read! Great with: Cannelloni is a current favourite, or homemade lasagne sheets, homemade bows would be loads of fun for children too. There are loads of curry recipes on Guac but this was one of my favourites for cheap meals- it's an oven-bake biryani and the almond flakes and chickpeas make this really tasty and more-ish. Tip: Use this biryani to use up leftover vegetables or a glut of carrots. Watch out for: Just remember to make enough so you can have it as leftovers. Great with: You could spruce up this recipe with some more coriander and a yoghurt dip and serve it with a roasted cauliflower for a light winter meal, or make it as part of a larger curry spread with a dahl or a coconut milk-based curry. No, it's not entirely necessary, but green rice is like that extra 10 per cent effort that makes a good meal great. You get to use all the stalks from two huge bunches of herbs (which is always nicer than having to pick off just the leaves) and create a really pungent stock you basically stir into rice as a low-maintenance risotto. Tip: ** You will need a food blender for this- but you could try using a stick blender if you have jug with it ** Also, it gets loooooads better the day after so always make sure you've made enough for lunch. Watch out for: Don't use red chillies in the blend as this will turn the mixture brown, and make sure you get big enough bunches of herbs- the biggest your supermarket sells. You don't want to half-do this rice as it'll end up just really salty from the stock and not great. Great with: It might sound like a faff when normal rice is much easier but this is great in a burrito filling, alongside tacos, with a chilli, or even to freshen up a dhal or channa masala. It also just makes it look like you've made loads more effort if you have friends round for a Mexican. My best friend Rach is kind of the reason I started writing Guac & Roll- she looked so concerned when I said I had gone vegan: I wanted to be able to show her it was Going To Be Okay and that our friendship could withstand a divide over cheese. We have a running joke that all we make each other now are roasted vegetables and hummus, but it's often because we've just got too much else planned to cook anything massive. You know, like meeting her sister's beautiful baby for the first time. As much as we both love eating, sometimes the food on the table isn't the most important part of the day (I know, I know), and these roasted vegetables are great for those times. Tip: Rach uses peppers, mushrooms, courgettes and red onions, but you could add cherry tomatoes and aubergines. Great with: wraps, in jacket potatoes, baked as an open tart with puff pastry, as part of a pasta dish, in sandwiches or just with some steamed couscous. These are adapted from potatoes I once ate at my Aunty Karen's house (who makes the most amazing vegan food! ), and then re-imagined after also eating some amazing ‘country-style' potatoes at a restaurant in Krakow once. Basically on both occasions the potatoes were too good not to attempt to recreate. Tip: If you're short on spices and dried herbs, squeezing over a BBQ sauce is a super quick and simple way to get these flavoured. And always make more. These are also great for lunch leftovers. Watch out for: Give yourself long enough to make them, especially on a week night. Forty minutes in the oven is ideal, so get these in first, then start prepping everything else. 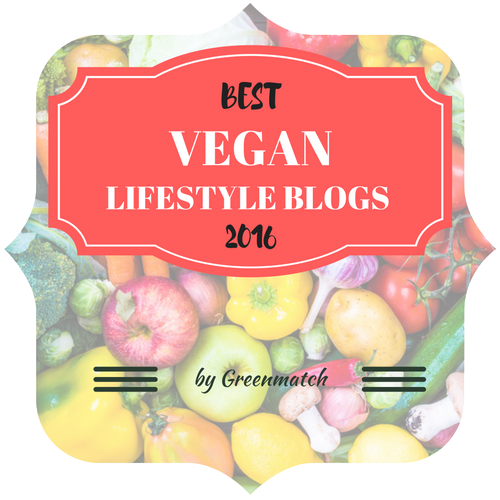 "Ava Szajna-Hopgood writes your go-to blog for vegan inspo. As well as posting recipes, she also pens vegan travel guides and reviews lots of vegan cafes, so this is definitely one to follow if you’re new to the vegan game." "Ava's been vegan for four years and has hundreds of original and yummy recipes there for you to try out yourself, complete with lovely photography that she does herself. Her food ranges from the super filling to the super healthy plus, she's also got lots of different tips and tricks on how to be a vegan in a carnivorous world." "Fancy trying out a vegan diet? This blog from the North London-based food blogger, Ava, should be your first port of call. Excellent recipes and posts on the realities of life and travel as a vegan." "Creating delicious food that’s accessible to all is something food blogger Ava Szajna-Hopgood, aka Guac & Roll, has been championing too. Her 'zine, Cooking Vegan for People Who Don't (stocked in Soup Kitchen and compiled with creative collective Generic Greeting), was designed to convince non-converts just how damn easy and tasty a vegan diet can be." Split pea cakes, salad bars and cauliflower steak: Dzień Dobry Vegan Poland!